The Horror Network leaps into the anthology horror genre, alongside some of my favorites, including Trick ‘r Treat, Creepshow, V/H/S and Tales from the Darkside. 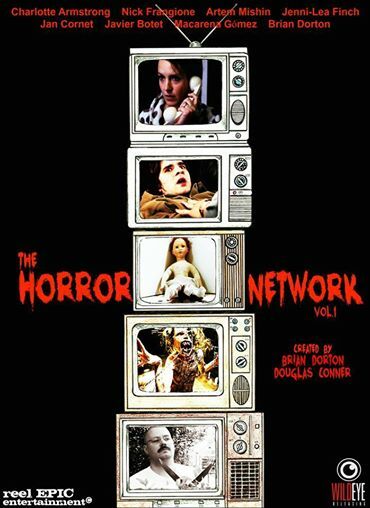 While some of them have an overarching plotline, The Horror Network is mostly about five horror stories with no actual connection to each other, and each has a completely different look and feel from their respective directors. It has an interesting effect on the overall experience, but some segments are much better than others. Before we even get our opening title shot, we start off in a segment titled 3:00 AM, where a woman who’s home alone is terrorized by phone and in person by someone or something around her home. It relies on a lot of shaky cam and close work to pull off some of its scares. It also possess a whole lot of atmosphere, and manages all right. It’s an interesting way to start off the anthology as it instantly sets the tone as a less goofy and more serious collection of horror tales. 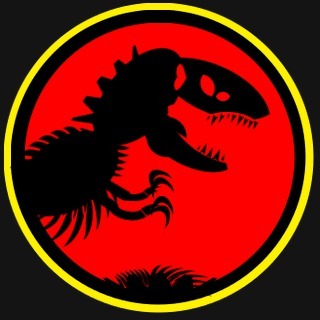 Like most of the segments in the film, it is a little bit of a slow starter. From a lonely house in the middle of nowhere we move to the office of a Russian psychiatrist who’s seeing a patient named Edward. It at first seems like a more benign visit to his therapist, but then we find out he hasn’t been taking his meds, and the session starts to fall apart from there as it builds to a breaking point. It’s a great contrast from the opening segment, which also built up the tension, but in very different ways. While this one takes a while to get to it, both of the main characters are interesting and their topic of conversation kept me engaged while it moved from a therapy session into something much darker. My favorite part of the anthology, The Quiet, tells the tale of a partially deaf girl who gets bullied on the bus. To ignore her classmates, she pulls her hearing aid out so she can’t hear them. She ends up leaving her phone behind on the bus so she can’t call her mom to find out why she hasn’t shown up to pick her up at her stop, and a mysterious van begins stalking her as she goes to walk home. Things get worse when the driver leaves the van to come after her, and she’s forced to flee into the woods, looking for any place to hide without really being able to hear the man coming after her. There is some great tension in this, and it takes far less time to get to it than any of the other segments. It kept me involved a lot more as well. Merry Little Christmas is anything but. The only part of the anthology requiring subtitles for the English speaking crowd, Merry Little Christmas is a Spanish short about a family coming together to face past trauma. It’s the most visually engaging of all the segments, and easily contains the most gore and effects work with some really disturbing visuals. It’s unfortunate, though, that it took me several viewings of this one to key in on what was going on. It’s kind of a surreal short, and didn’t make any sense to me the first time I went through it. I loved the look and effects work, though, so I ended up watching it again to try to make sense of it. But while I get the gist of it, the short jumps around too much to really be effective. This one I could easily see being made into a much longer film to fill out the story a bit to make more out of it. Which brings us to the last short of the film, The Deviant One, which is the weakest of the entire bunch. This one tries to be deep and interesting, but instead is just weird and falls flat. They try to touch on a bunch of things, and don’t really get too far with any of them. There’s a few interesting bits, but the blend of killer and bible thumper just doesn’t work here at all. Instead, it left me feeling detached from the rest of the anthology. I do respect the producers who picked the shorts for assembling some darker segments into this anthology, and for not cropping the films to fit certain aspect ratios. That being said, it is a bit distracting, and the varying quality of films here can be a complete distraction. I expected it coming out of V/H/S, given the idea and subject matter, but it’s not nearly as effective here. There seems like quite a bit of dead time to this, plus we have to wait for each short to really get going. Some of it is character building, and I get that, but I was watching this with my wife and she and I both got bored a few times waiting for something to happen. That’s not a good sign for The Horror Network. A few of the shorts could have used a snip here or there to make them a little bit tighter, but that might have also killed some of the tension building. The Horror Network, like any anthology, has its ups and downs along with the gems and disasters. I do like that it stuck to a more somber and serious theme within each of the segments, though. While I do enjoy a good horror comedy, when you have an anthology with one segment doing that, and the rest not, it’s a real distraction and they resisted that urge here. There are some really good bits here, and horror fans will like at least one or two of the segments in this. The Horror Network is definitely worth a look for the first three shorts, and at least the effects work on the fourth. The Horror Network (2015) was released on DVD by Wild Eye Releasing on October 27, 2015. Cinefessions was provided a DVD copy of the film for review from Wild Eye Releasing.